Across America, including Wisconsin, roads and bridges are falling apart, so much so that President Donald Trump ran on a platform of passing a major infrastructure program. And a major reason for this deterioration is the impact of heavy trucks. An off-quoted federal study once found that road damage from one 18-wheeler is equivalent to the impact of 9,600 cars. 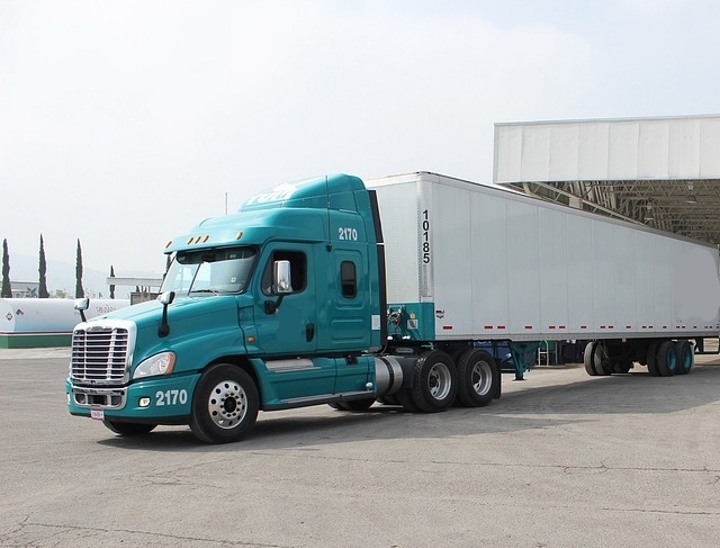 A fully loaded tractor-trailer weighs 80,000 pounds, 20 times more than a typical passenger car at 4,000 pounds, but the wear and tear caused by the truck is exponentially greater. One analysis contends freight-hauling trucks cause 99 percent of wear-and-tear on US roads, but only pay for 35 percent of the maintenance. Big trucks take a toll even on interstate highways designed to handle heavy loads, but the far bigger damage comes to state and local roads that aren’t designed for the massive impact of 80,000-pound trucks. One study estimated the average traffic by large trucks on non-arterial rural roads in the U.S. increased 16 percent from 2000 to 2012. The Wisconsin Department of Transportation “proposed adding 24 new highway inspectors in the 2013 state budget, citing a DOT study that showed overweight trucks cause $41 million in pavement damage annually in the state,” as Wisconsin Public Radio reported. But the Republican-led Joint Finance Committee rejected the plan. “Soon after, the full Legislature passed a new law increasing the weight limit for agricultural equipment on Wisconsin roads by 15 percent to 92,000 pounds,” the story noted. In North Carolina, Governing mag reported, an analysis by the state transportation department found heavy trucks cost the state an extra $78 million per year. As the maintenance costs for Wisconsin’s highways have grown, the state transportation fund has not kept pace and the state is now on track to borrow fully 25 percent of all money it spends on the roads, passing on a multi-billion debt to our children and grandchildren. The seemingly obvious solution — increase the gas tax — was championed in a past column of mine, but is opposed by Gov. Scott Walker and many Republicans. And in light of the data on the toll that trucks take, I’m beginning to wonder if simply hiking the gas tax is the right approach. As for toll roads, that requires approval from the federal government, and is a complex endeavor that could take years to create. Into this stalemate has stepped Rep. Amy Loudenbeck (R-Clinton), who is pushing to add a new per-mile fee on heavy trucks. Four states have passed such a fee: Kentucky, New York, New Mexico and Oregon. Kentucky’s fee, she notes, is 2.85 cents per mile for vehicles over 59,000 pounds gross weight (including the load), and would raise $125 million per year in Wisconsin. The fee is even higher in New Mexico (4.378 cents per mile) and New York (4.62 cents per mile) while Oregon has a sliding scale based on weight that charges up to 1.638 cents per mile. “I feel a sense of urgency with regards to finding a solution as I represent a significant portion of the I-39/90 corridor which could be drastically impacted depending on the outcome of the transportation budget,” Loudenbeck says. Rep. John Nygren (R-Marinette) and Assembly Speaker Robin Vos (R-Rochester) last week told the Journal Sentinel they haven’t ruled out Loudenbeck’s idea. As things stand now, trucks are not paying their full share for their huge contribution to the maintenance needs of our roads system. Instead, all drivers and all businesses that don’t rely on truck transport are subsidizing the trucking industry. This subsidy is distorting the economy, as the True Cost blog notes: “Since the trucking industry doesn’t pay the true cost of its road usage, it benefits relative to rail and other forms of transport. Freight rail lines are privately owned and maintained in the US, so they don’t receive a similar subsidy. As a result, more truck traffic ends up on highways than the market would dictate, leaving the taxpayers poorer, the air dirtier, and the roads more congested.” Not to mention falling apart and riddled with potholes which cause damage to cars. It is the Republican Party that is supposed to favor solutions to allow an unfettered marketplace, so Loudenbeck’s proposal would seem to be a slam dunk. Except for all those lobbying and campaign donation dollars spent by the trucking lobby. The Wisconsin Motor Carriers Association, which is headed by former GOP Sen. Neil Kedzie, has contributed $1.2 million to Wisconsin politicians, including more than $700,000 to Walker, the Wisconsin Democracy Campaign has reported. This a moment of truth for Republican leaders. Will they live up to their political philosophy, while standing up for all voters, or will they cave in to the truck lobby? The public, one hopes, will be watching. Although these fees make C. W. McCall furious, they make perfect sense to me. (So much so that I would like to see a nation wide infrastructure fee on all imported goods, all $750B of it). But since “Wisconsin Is Open For Business”, aka “Crony Capitalism”, I doubt the political courage exists in this state to implement the fee. Even if they do it, they’ll still exempt farming, which is probably the most impactful (even if only seasonal) user and there will be a loophole that allows a whole bunch of trucks used occasionally for farm-related work to be classified under farming and thus be exempt all year round. I recall Southridge made a similar claim about Milwaukee County transit buses destroying their private roads, maybe we could ask bus passengers to pay a surtax on Milwaukee roads. Sounds good Jason Troll, just as long as they get a per person credit for not driving. I assume that every other vehicle is charged fairly by their base vehicle’s weight and affect on the roads. Bruce, sounds like a winner to me. But nothing about autonomous driving trucks? The truck driver lobby will lose its clout when half or more of them are replaced by self-driving trucks. And trucks will be 200 pounds lighter so there will be less road damage. …still living in Indianapolis here, and it’s even worse. Not only are trucks everywhere all the time, but they let the longest ones in the city at any time too. Since I used to see huge 18 wheelers in downtown Milwaukee, delivering loads during the day, and they’d throw open their doors and only about 10 percent of the truck was full, I’ve been pushing for smaller trucks in the city, or “after 6 pm” delivery times only in certain areas. The problem I have with this tax is that it addresses only a symptom and not the ultimate problem. Corporations and the wealthiest Americans are benefiting and profiting from the infrastructure in this country but don’t want to contribute to the upkeep. The continuing demand for lowering their taxes shifts the burden of their profit making onto the rest of us. We pay the price and they reap the benefits. If we simply tax the trucks, that tax will fall on the independent truck drivers to pay who already have been forced to overload their trucks and drive long hours in order to feed their families. And once again, large corporations will shift the burdens to small business owners and the working class while reaping the benefits. Cargo moved by truck burns about 4 times as much diesel fuel as a train, which means that trucks pollute our air about 4x more than trains would. And it’s not just air pollution; it’s water pollution, too. In areas with separate storm and sanitary sewers, road pollution—oil drips, tire dust (where do you think that all toxic rubber goes as your tires wear? ), road salt, etc—washes right into our waterways totally untreated. While locomotives drip oil, too, that waste doesn’t drain into sewers, railroads don’t use salt in winter and don’t have toxic rubber tires. The poster that implied that a tax on trucks might put the independent truckers out of business seems to imply that the money to build and rebuild our roads because of the damage trucks cause somehow is grown on trees! If the trucks paid their fair share for the roads, instead of the 35% they currently pay, America would be much more productive because more efficient means of transportation would be used increasing our world wide competitive level. Besides paying for damage caused by these trucks taxpayers are also paying for the increased repairs and maintenance to their private vehicle caused by this damage, some estimates and as high as $1800.00 a year per vehicle! Let’s have some of that ‘Free Market Economy’ bestowed onto the trucking industry instead of the lavish amounts of corporate welfare they are receiving now! Back to toll roads; tolls can be adjusted based on weight or the number of wheels or even the number of trailers being pulled. When costs of delivery are added to goods or services, the product reflects the costs of not only production but also delivery. At some point, the piper is paid. The hidden costs are unfairly borne by non-users and tax payers under the current structure.